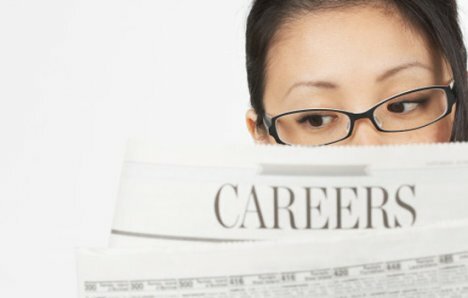 ​So you went to college, got a degree, and now you’re certain you don’t want a career. You may just want to take a break for the next few months or year. It’s important to remember that taking a break from the rise and grind shouldn’t leave you feeling guilty! Once upon a time there would have been few options or opportunities that seemed interesting, challenging and fun, but now... in the realm of exploration and self discovery, you have hundreds of options. You just have to look! ​Entrepreneurship: ​Don’t want to surround your life around someone else’s schedule? Want to own something that’s all yours? Want to “do” rather than be told what to do? Then why not try your hand at entrepreneurship? The wonderful thing about starting your own business is that it can be virtually any industry -- you can focus on what you want and you can determine how you ​want to do it. While starting your own business is still complicated, the vast opportunities to network through the internet have made it easier than ever to start your own boutique. ​Freelancing: Not only will you get to work on different projects, you’ll also never get bored. Different clients with varying projects mean that there is never a dull moment, and you’ll never do the same thing twice! Work in hospitality: ​Hospitality has a high turnover rate! What does that mean for you? There is a job out there for you! Applying to work at international hotels not only gives you the opportunity to travel abroad, but also makes you good money, and you still have the security of having a home base. Let’s not forget all the cool and interesting people you’ll get to meet and hang out with. What’s even better? If you fall in love with the industry, there are opportunities to move up in the company. ​So don't fret just yet ... there are plenty of opportunities out there to explore! this is such a great article ! these tips are amazing!